Sakki-Sakki is a unique line of art and work-in-progress based on the authentic style, unexpected happenings and creative imagination of Monicka Clio Sakki. I am a HUGE advocate for creating your own deck. Dreaming of your own?? The Signature Deck – A unique creating experience!! Get on the waitlist and grab your free guide below! 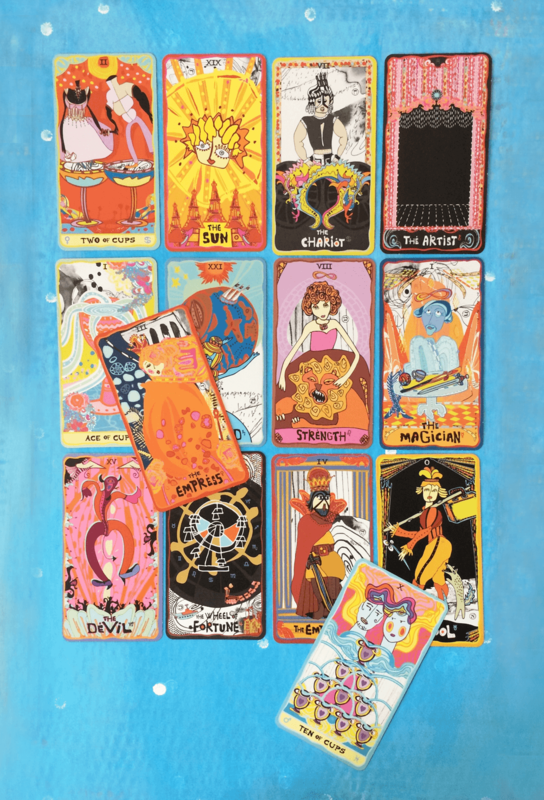 HOT from the press: The Sakki-Sakki Tarot Coloring Book! Want to know what else I am up to these days? Want to create your own Signature Deck? “7 Huge Mistakes to Avoid when Creating Your Signature deck”. Oh, this can save you so much!